All of them are my favorites with powerful lyrics and soothing music; listed in no particular order. ð This is an ultimate song. Perfect one to dedicate to someone special; in return endless love guaranteed. ð Play the song , you will get the feeling with the start up beat only. The loving (read seducing) voice has his own charm. If you can relate to it – you must be in love. ð This song has been placed in top 100 songs of last century. 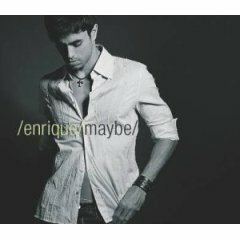 For Enrique Lovers it’s an anthem. ð There is a story behind this song. Media speculated Shania’s marriage to much older Lange was for her career benefit. This song was the answer to their criticism. ð That’s the beauty of the song, being copied / revised by so many singers. Even we have a Bollywood version of it, featured in SRK’s Ra.One. ð Larger than life lyrics which every girl wants to listen in that way. ð Lovely lyrics lovely video. It says it all. 11. My heart will go on. – Singer : Celine Dion . ð For that teenage love, full of emotions and dreams. Truly madly deeply in love. ð For that adrenaline rush, may be he wants to come back , may be he doesn’t. It’s Enrique , it has to be my favorite. After all he is my first love..
ð Here I am this is me … the power and effect of lyrics , ‘here I am’ is my whats app and skype status , and I have introduced myself in my one of my previous blogs ‘this is me’. Best 15 love songs on my playlist (Side B : Hindi ), will be out soon.